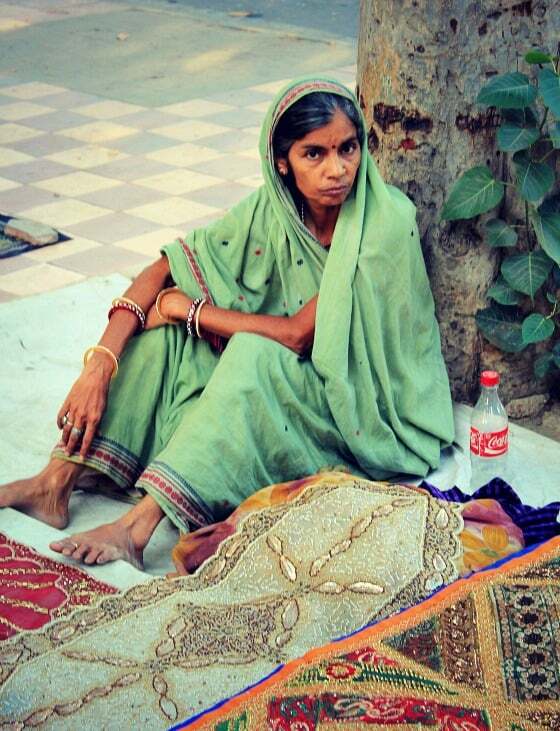 India, like so much of Asia, lives life on the streets. The streets teem with activity of all kinds, from the commercial to the deeply personal. 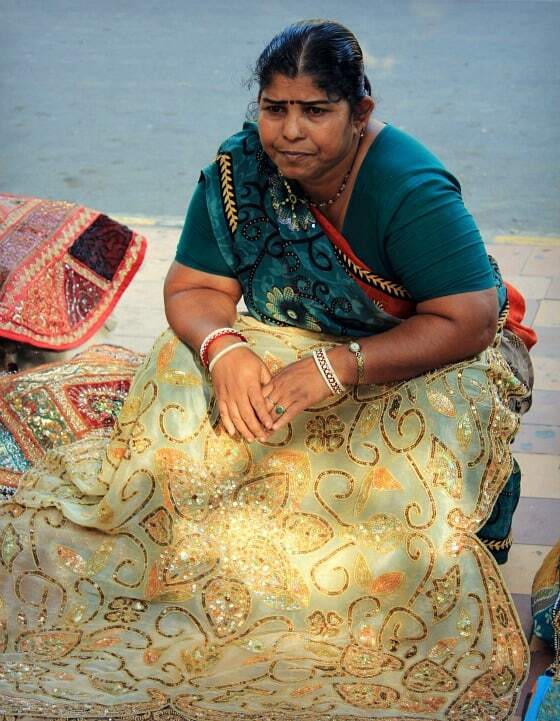 One thing I have long noticed about India is that people on the street seem so comfortable living their lives publicly. I see great portrait shots every few minutes here because of the relaxed and open manner of the people, but I usually feel too shy to take out my camera. 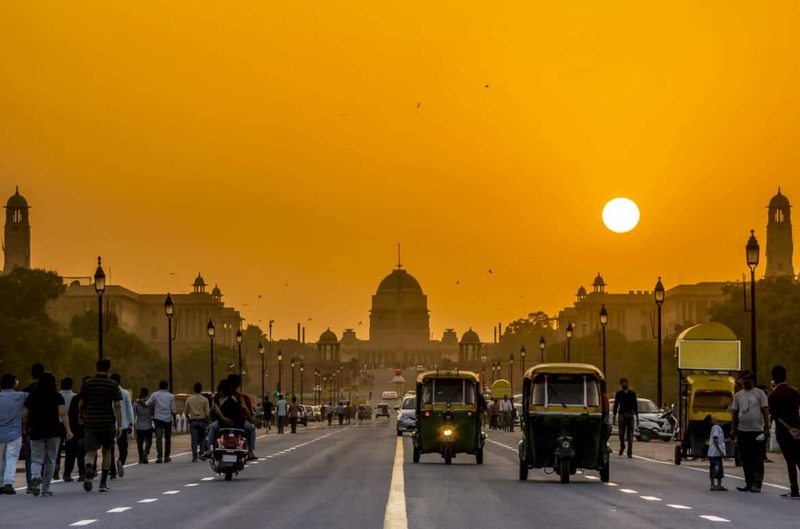 But this time, as I walked along Janpath, a famous street bazaar in central Delhi popular with tourists, I decided to engage with people and take some photos. Turns out, taking photos is even more fun than shopping! Click continue to see the faces of Janpath. Follow my South Asia Sojourn from October 2012 to May 2013 — a six-month blogging trip through India and Sri Lanka, followed by a search for my family roots in Ireland. Subscribe to Breathedreamgo in the “Get updates by email” box to the right. 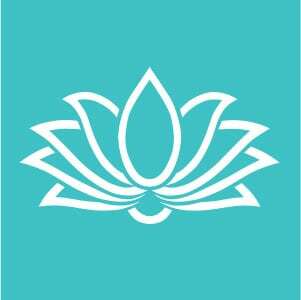 Join the Breathedreamgo Facebook page; and the Breathedreamgo Twitter stream (hashtag #BDGIndia). 1. 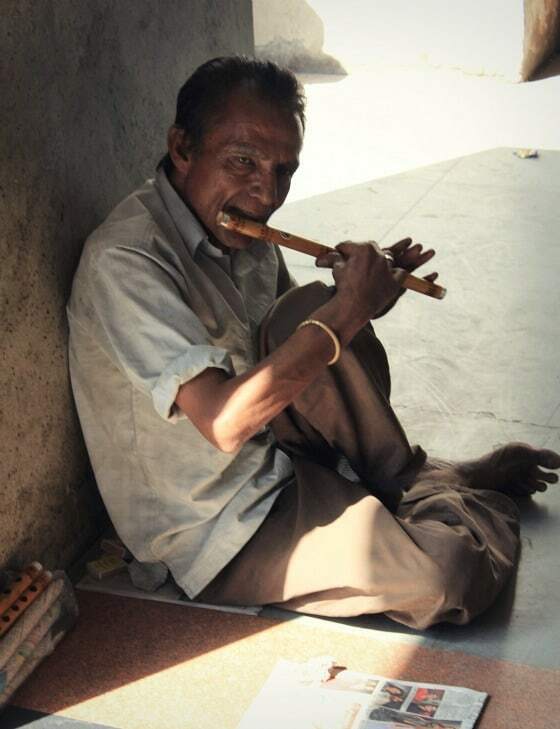 I often see street urchins in Delhi of course; it is estimated there are 250,000 street kids in the city. 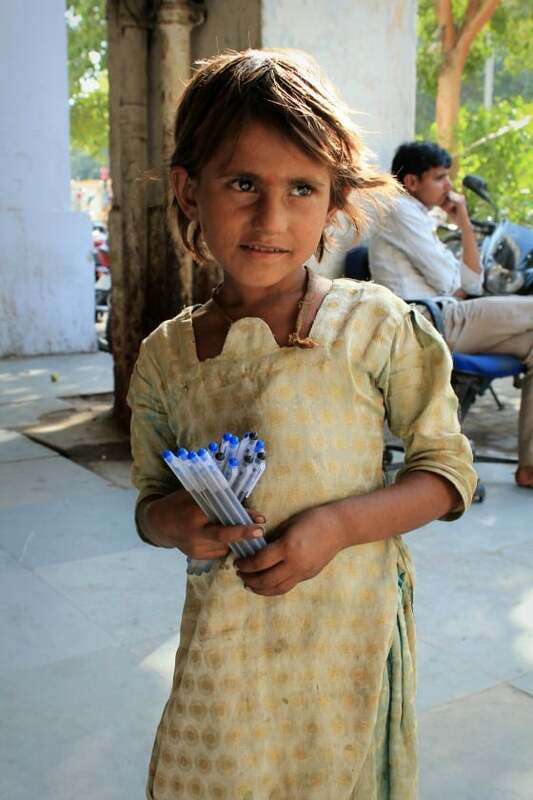 But this little girl and her friend (scroll down), selling pens in Connaught Place, seemed a bit different. They seemed to be having fun together and they didn’t “attack” me with demands for money. 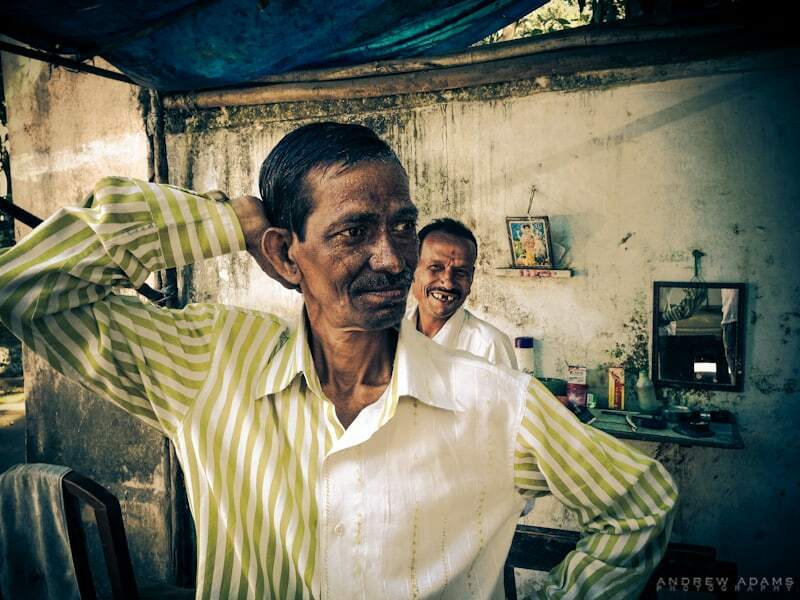 In fact, I approached them, and gave each of them 10 rupees for allowing me to take their photo. I enjoyed the brief contact with them, and hope they did too. 2. Oh, hail, the autorickshaw drivers of India. Maniacal both in their driving style, and their driving desire to extract maximum fares from gullible foreigners. 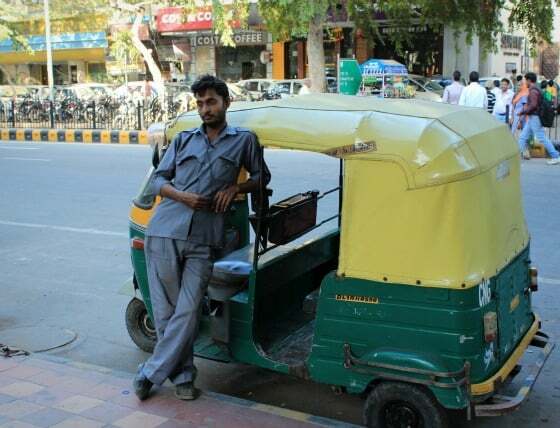 This is a rare shot of an auto driver at rest. 3. 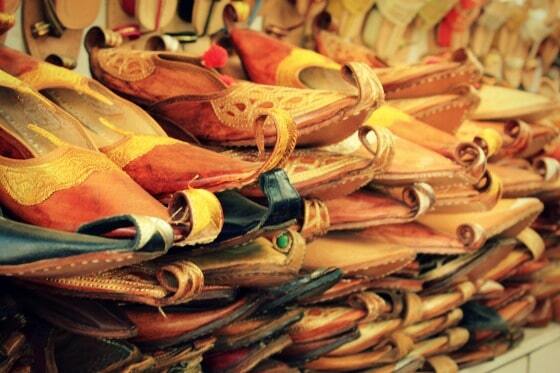 The shoes of fantasy, with curled-up toe, remind me of the prince heroes of the Arabian Nights stories. 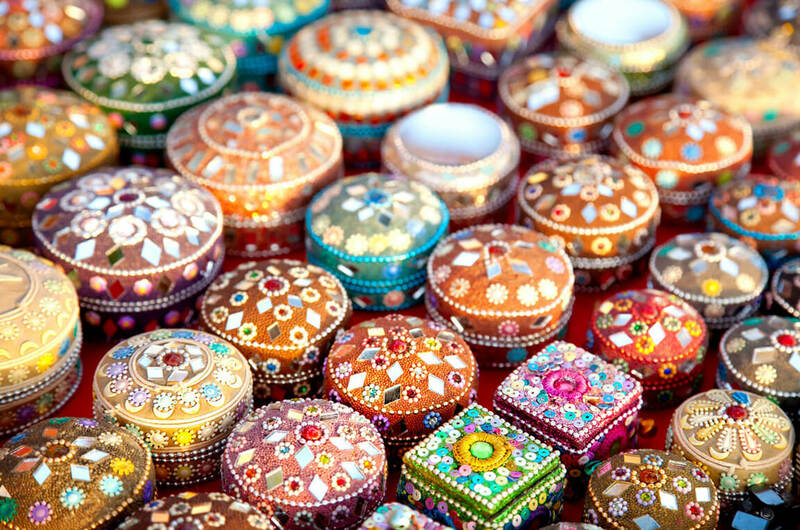 Called juttis, they are a regional specialty of Rajasthan. 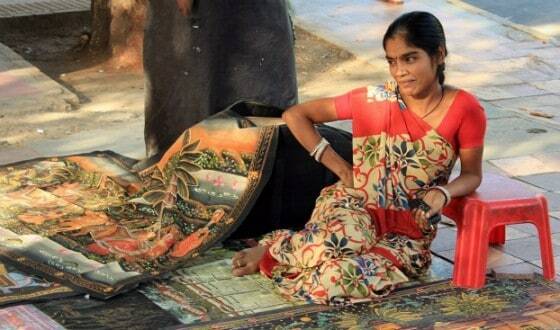 But many are sold in Janpath, some, for women, covered in multi-coloured beads. 4. 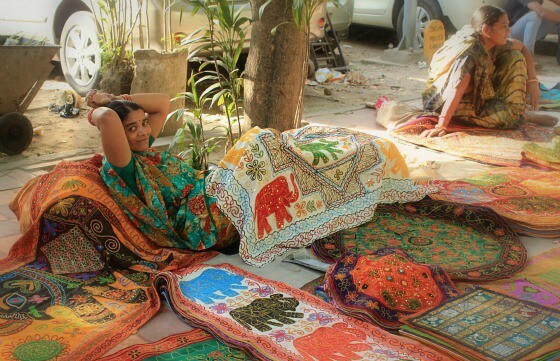 The women on the street selling wall hangings and other textiles are great studies both because of their colourful wares and their street-wise expressions. I am not the first foreigner to take her photo! I love her green sari, a very unique shade. 5. Half hidden in the shadows, among the colonnades of grand Connaught Place, a solitary figure demonstrates his wares. 6. 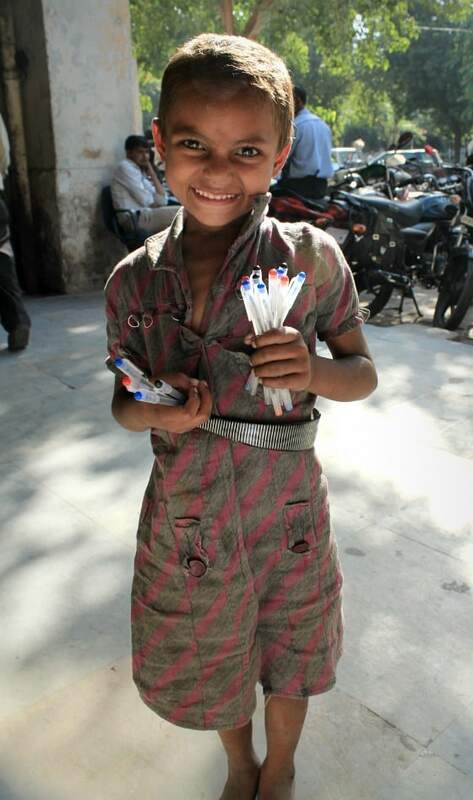 Like a ghost of Victorian England, the little pen seller with the sweet smile captured my heart. 7. She did finally smile, when I put the camera down, and it was like the sun coming out. 8. 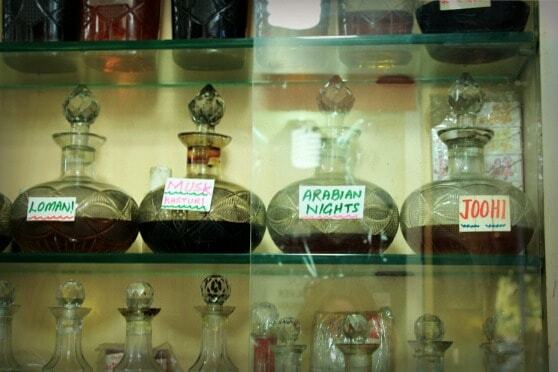 More reminders of the Arabian Nights, a shop selling attar, oils and perfume in well-used bottles. 9. We had a laugh together as I enjoyed her relaxed approach to salesmanship. 10. 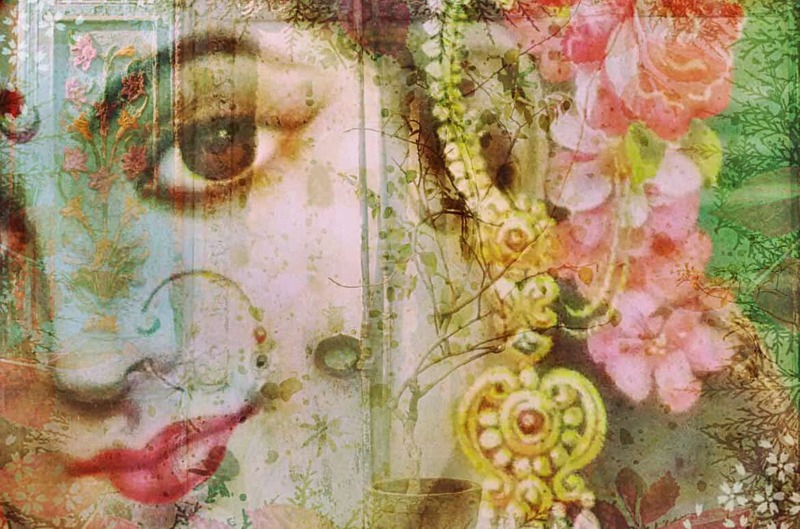 The colour of the streets of India, bursts of shimmering gold, deep indigo blues and complex shades of emotion and expression. 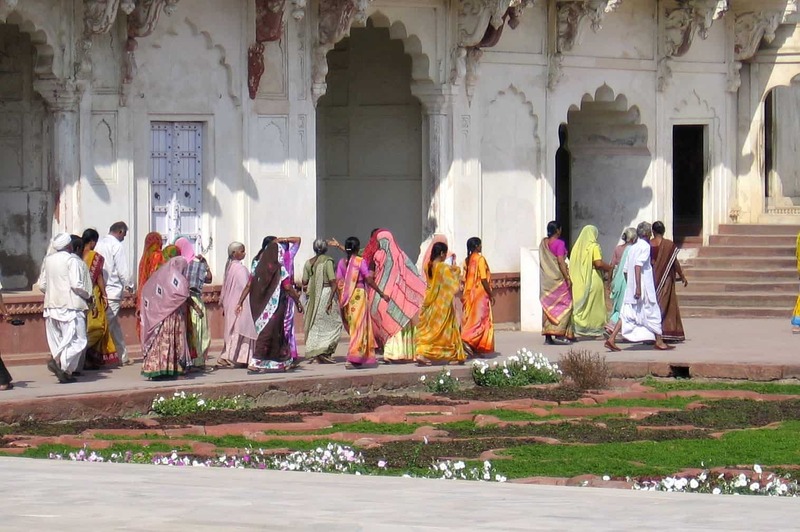 As I travel in India for the next five months, I will make a list of recommendations at the end of each blog post. Saravana Bhavan is a well-known chain of south Indian restaurants found in Delhi and many other cities. I particularly like to frequent the busy one on Janpath, near Connaught Place. Fun, inexpensive and dee-licious!